﻿This picture of a market (right) is something of a mystery. Why would there be a "temporary market" in the middle of the Jewish neighborhood of Romema, particularly when most of the customers are Arabs? 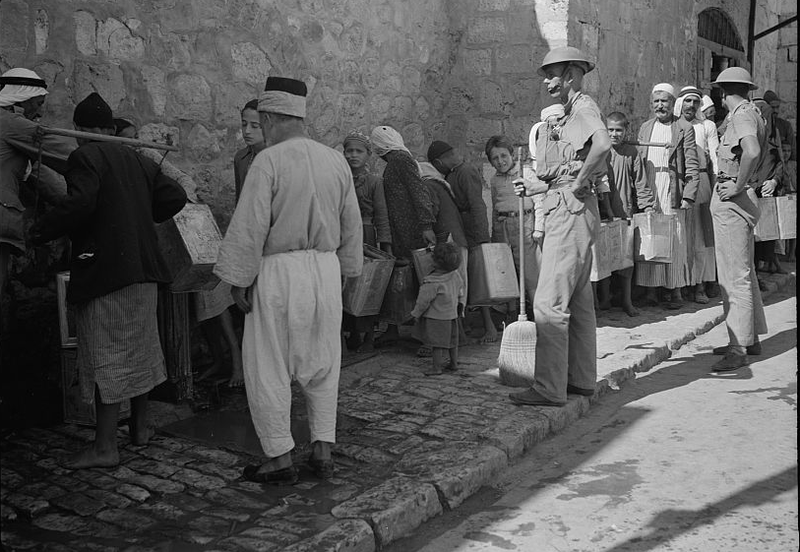 Moreover, the time frame of the picture, 1934-1939, was marked by strife between Arabs and Jews, especially after the outbreak of the "Arab Revolt" in 1936.
siege was lifted. Another picture here. 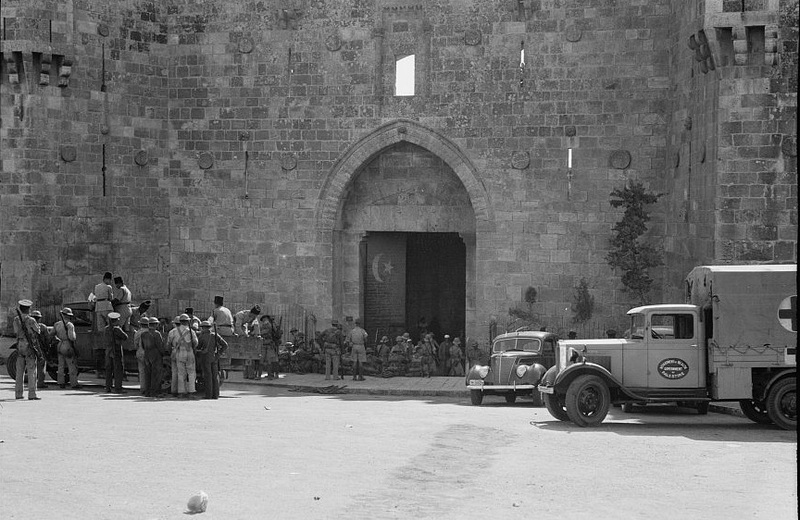 We'll take a guess and suggest that the picture was taken in October 1938 when Arab terrorists captured the Old City of Jerusalem and held it for a week. Food and water were cut off. 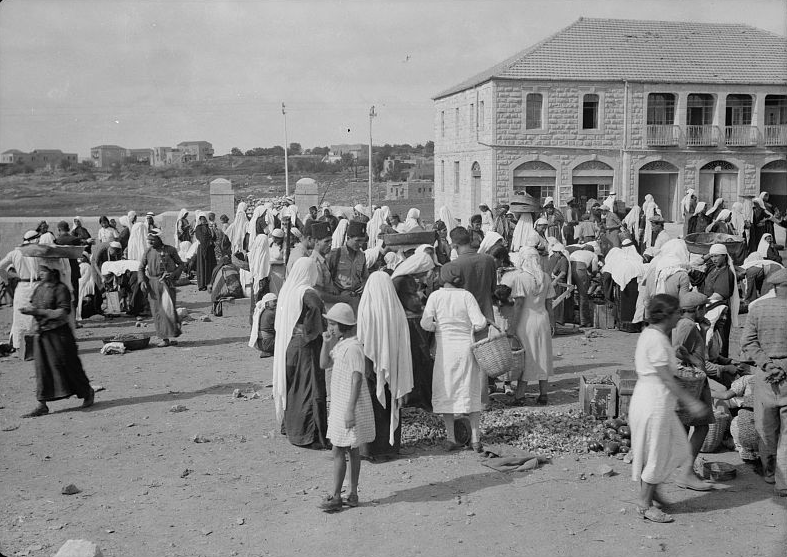 The Arab market in the Old City would have been closed. A temporary solution was found, we suggest. 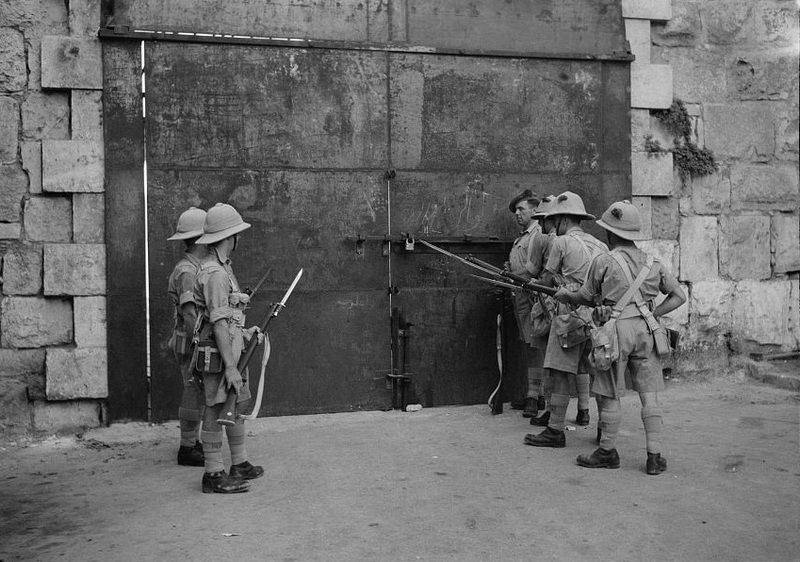 On October 19, the British army broke in and recaptured the Old City, killing 19 terrorists. ﻿﻿The women's clothing in the mystery picture appears to be light, even summer clothes, challenging our hypothesis. Was the clothing appropriate for October? Actually, yes. Viewing the clothing of the soldiers and nurses in the October pictures, the days were apparently warm. 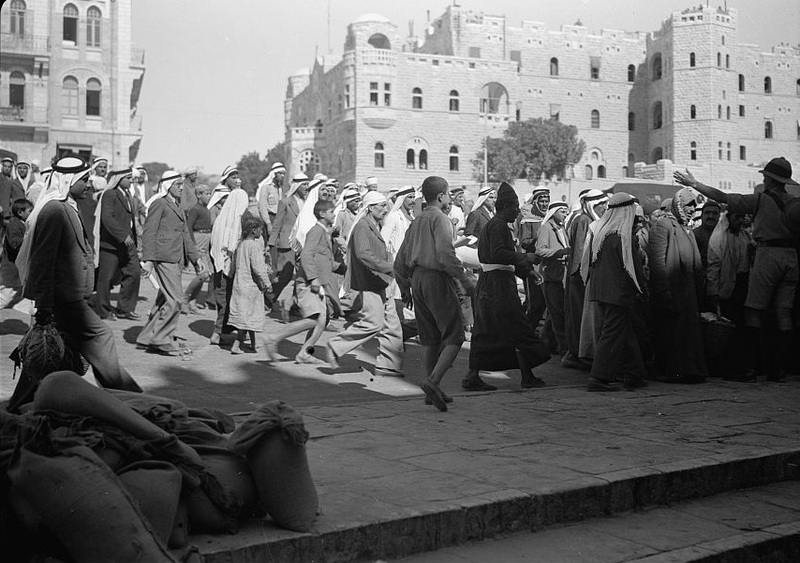 "The Old City of Jerusalem, which had become the rallying point of a large number of bandits and from which acts of violence, murder and intimidation were being organized and perpetrated freely and with impunity, was fully re-occupied by the troops on the 19th of the month." 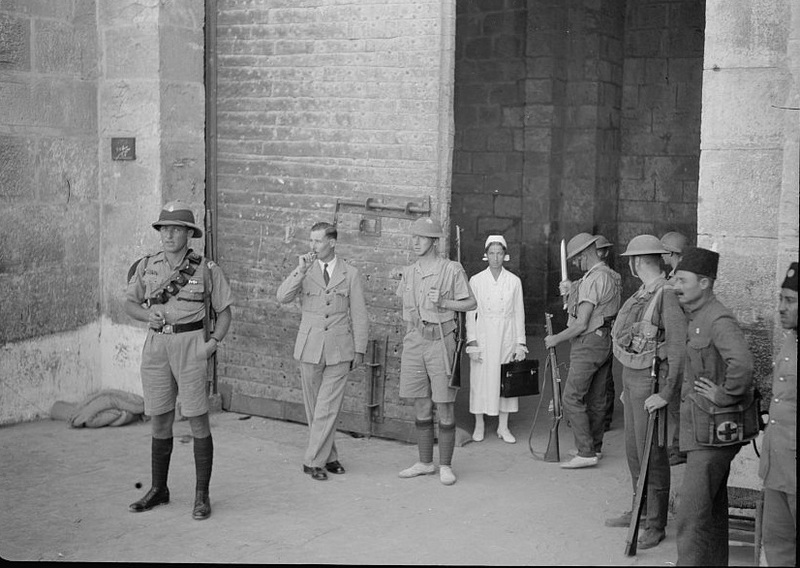 The Library of Congress' American Colony collection contains several dozen pictures of the British retaking the Old City. As for your first hypothethis, it is logical. 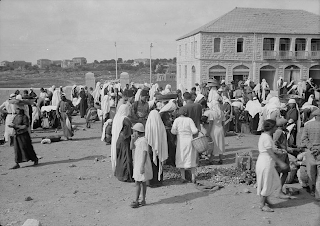 However, (a) the site appears to be the houses opposite the current Egged Bus station which would be, at the time of the pciture being taken, where Lifta & Romema Arabs would come either with or without security problems; (b) continuing from there, if indeed the Old City Market was close why wouldn't there be a "temporary" market closer to the Old City rather than there? ; (c) while there could have been one there, maybe even Machane Yehuda market had been closed and this was where Jews came?